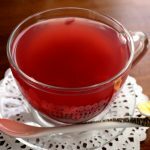 Today I’d like to share my pomegranate tea recipe with you. Pomegranate is known as a super fruit in many cultures. They say it helps tighten skin, strengthen muscles, and control body fat. It’s also known to boost our immune system to fight cancer, lower cholesterol, and prevent us from risk of heart disease. It sounds like a super food, right? When I lived in Korean, I made it whenever pomegranates were in season. The fruit was really expensive, so I didn’t buy many and it was a rare treat. But ever since I moved to North America, they are much cheaper here and I buy pomegranates to eat, make tea, or just put in a basket as a decoration. So today I’m releasing my pomegranate tea recipe, the one I’ve been using and enjoying for years. For some of you, the first question will be about replacing sugar with honey. It’s a good idea but I found that the flavor of honey dominate the tea too much and overwhelm the natural pomegranate flavor. Make some tea, and let me know how it turns out! You can keep it in the fridge and enjoy the tea for up to 1 month, so make a lot and drink tea with your friends and family, or give it as a gift to someone you love! Place the pomegranate seeds in a bowl. Crush them coarsely with a pestle about 50 to 60 times. Put about ¼ cup of pomegranate seeds and juice in a tea cup. Add hot water and mix. Serve hot. Posted on Tuesday, January 6th, 2015 at 6:02 pm. Last updated on April 26, 2015. Posted May 12th, 2016 at 9:24 pm | Log in to reply. Hello, i had to make korean food for a school project. when i made this everyone loved it! Posted March 10th, 2015 at 5:35 pm | Log in to reply. Can you switch pomegranates with other fruit to make different teas? I love blueberries and was thinking to swap it. Love your videos Maangchi! Posted February 3rd, 2015 at 2:48 pm | Log in to reply. Where did you buy your tea set? I really like it :) I can’t wait to make this tea, looks soo good!! Posted January 10th, 2015 at 8:55 pm | Log in to reply. I was wondering, would it make a difference if I used packaged pomegranate seeds (like the ones from Trader Joe’s)? Posted January 11th, 2015 at 11:14 am | Log in to reply. Packaged pomegranate seeds will give the same result. Good luck! Posted January 9th, 2015 at 2:57 pm | Log in to reply. Hello! 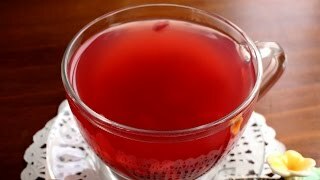 I made this pomegranate tea and found it absolutely delicious! I will try to drink this tea every day as it is simple and amazing! Thanks for the recipe! Posted January 11th, 2015 at 10:58 am | Log in to reply. I’m very happy to hear that you enjoyed this recipe! Cheers! Posted January 7th, 2015 at 11:13 am | Log in to reply. Wow, I got pomegranate trees growing in some big pots that never stop bearing fruit. My grandmother always put a fruit basket consisting of pomegranate, apples and orange for a newlywed to put under their beds for the first 3 nights. She said that pomegranate symbolizes fruitfulness and many kids and prosperity. My cousin is getting married next week. Maybe I’ll put this tea in the basket. Posted January 7th, 2015 at 11:01 am | Log in to reply. Posted January 7th, 2015 at 12:21 am | Log in to reply. Maangchi! This looks delicious. And what nice, big pomegranates!!! Wow!!! Posted January 7th, 2015 at 8:40 am | Log in to reply. Posted January 6th, 2015 at 9:48 pm | Log in to reply. This recipe was originally posted on January 6, 2015 at 6:02 pm by Maangchi. It was last updated on April 26, 2015. The video was watched 558,910 times on YouTube & has 12,628 likes!